Phuket Oracle Services is a production company with over 35 years of experience in Phuket Krabi, Phang Nga & surrounding islands & the industry, we’re known for our resourceful contacts, problem-solving skills & attention to detail. Our entire team are competent “can do” people that make things happen. Our services range from photo shoots to providing full production services. Our Thai senior partner is a well respected Lawyer fluent in English; he is a natural at obtaining permits and gaining support from all levels of the community & government. Phuket Oracle focuses on & have access to all aspects the marine scene , coastlines, remote islands, sea gypsy communities, caves, jungle rivers, natural features, marinas, beach resorts, shipyards, fishing villages, camera boats, support craft, Thai Navy, police & customs boats, all types vessels from local Thai longtails to super yachts are on our books. Transportation arranged, overland, sea based, helicopter & fixed wing. Phuket’s infrastructure & amenities are first world coupled with user friendly governance, efficient transport links, experienced professional crews and modern equipment will ensure a smooth process. Filming in Thailand requires a shooting permit, details of which can be found on The Thailand Film Office website, with separate permits required for specific locations such as National Parks and Historical Parks. It’s advisable that all permit arrangements should be made in advance of shooting dates. The Thailand Film Office will help you obtain all the legal documentation for filming and work permits, as well as providing contact details. They can also liaise with you and all the relevant agencies. There is no fee for a permit, but a service charge is necessary to complete the application process. For this, the filmmaker is required to pay a per diem to the monitoring officer of 2,000 Baht per day per person. Productions with a schedule of less than 15 days, such as commercials, can take advantage of Thailand’s One-Stop-Service Center, where the application process is completed more quickly than that of say, a feature film, which can take up to three weeks. TIP: Thailand has very stringent laws when it comes to defaming its royalty or national institutions, so it’s advisable to avoid any of this in your script or you’ll run the risk of your application getting turned down. Filming must take place in the presence of a local coordinator (or fixer) that is officially registered with the Thailand Film Office, Department of Tourism. The services of a local coordinator include recruiting production crews and talents, location scouting and fulfilling clients’ specific needs for equipment, special effects and other technical services. You can find a list of local coordinators on their website. Payment for the services of a local coordinator is as agreed between the coordinator and the filmmaker. The Thailand Film Office has no involvement in this arrangement, including the setting of rates for services provided. 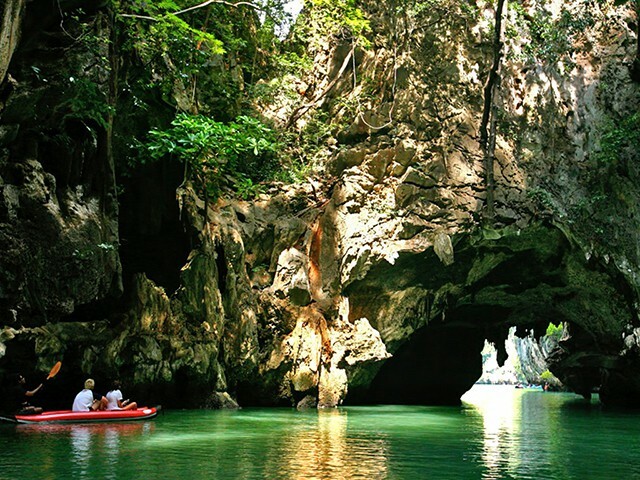 It is warm in Phuket all year round with temperatures ranging between 25 – 34°C (77 – 93°F). 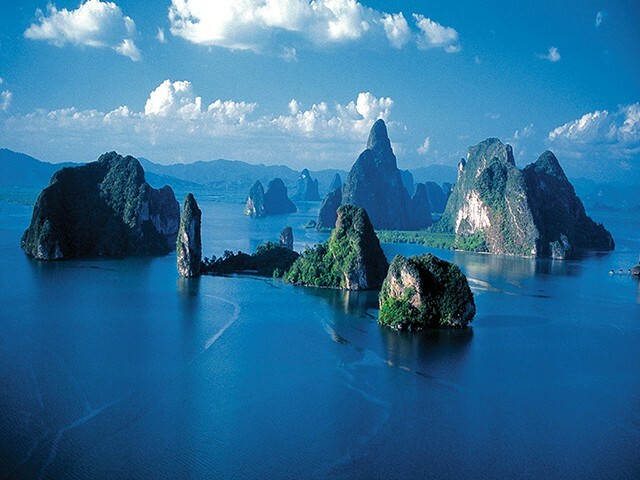 Phuket’s weather is typically divided into two distinct seasons, dry and rainy, with transitional periods in between. The seasons are dictated by the tropical monsoon, which is characterized by prevailing winds that blow from the northeast for half the year, then reverse and blow from the southwest, producing a dry season and a wet season. The dry season begins in December and usually lasts until March. The northeast monsoon draws cool, dry air from the Asian continent resulting in a slight drop in temperature. 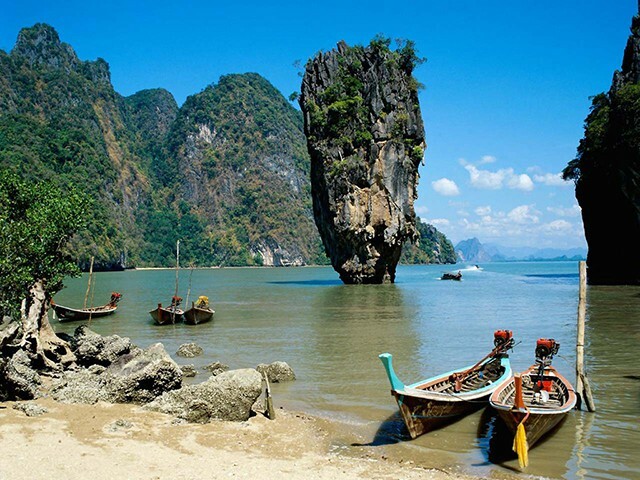 This is the high season for tourism in Phuket, when the climate is at its best, characterized by gentle breezes, calm seas and clear blue skies. It is also the coolest time of year. The transitional periods last a month or so. During these periods the weather is often hard to predict. The period before the rainy season, around April – May, is the hottest time of year. There may be a lot of rain or none at all. The October – November transition is cooler and usually quite wet. The rainy season begins in June and lasts until October. When people talk about the monsoon season, they are referring to the southwest monsoon period, which is the rainy season. The strong winds bring warm moist air from the Indian Ocean and plenty of rain. This is Phuket’s low season. The average rainfall in Phuket is about 2500mm or about 100 inches, with the vast majority of it falling within this period. It’s hot, humid and wet! Another aspect of the southwest monsoon is that the seas around the island can be quite rough. Two-metre seas are typical, with many rain squalls. 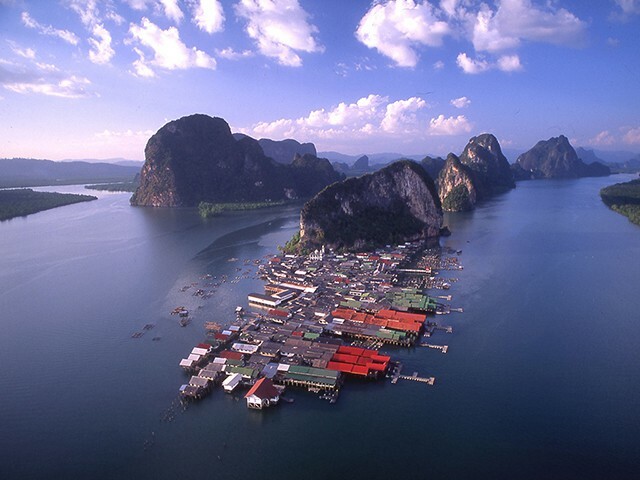 This affects boat tours and ferries, often prohibiting boat trips to other islands. Stirred silt reduces visibility for divers, and although visibility can sometimes be good, stormy seas often prevent diving at exposed sites. For live aboard, there are dive companies that operate excursions during the rainy season, however, these are not very regular and dependent on the weather. On the plus side, the lower volume of tourists during this period means that prices plummet, and there are many bargains to be had. Hotel rates are often half that of the high season. As the weather during the rainy season is by no means unpleasant, this can be ideal for the traveller on a budget or who simply wishes to avoid the crowds during the high season. There can be periods of several days that are dry, and when it does rain it is very unusual for it to rain all day. Extra care should be taken when swimming in the sea from May – October due to strong currents and rough surf. (See sea safety). 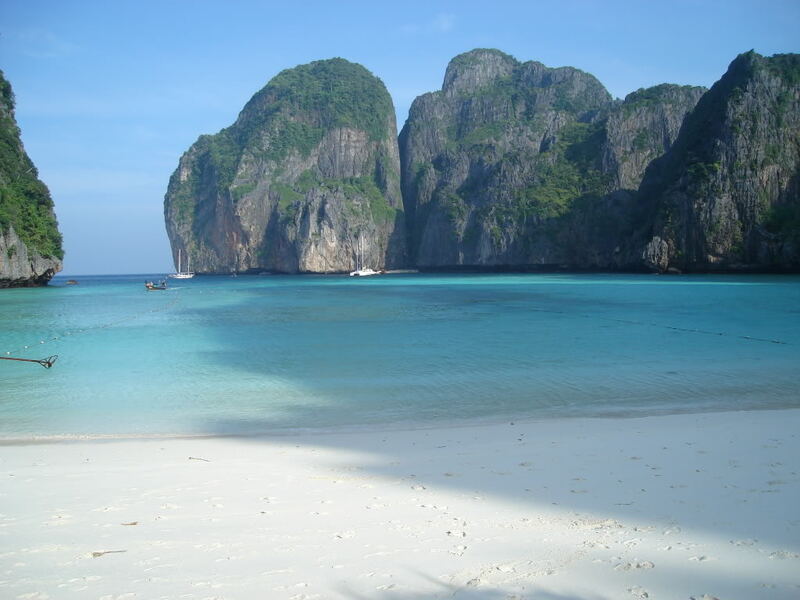 What are your Ideas for Phuket? What months will you be filming ? What kind of film are you making? How many persons in your crew? What level of assistance do you require?